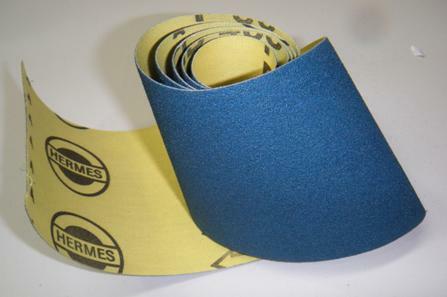 5 rolls of J-weight cloth backed sandpaper, it is the ideal combination for a flexible, long lasting abrasive material. Easy tear off and very economical. 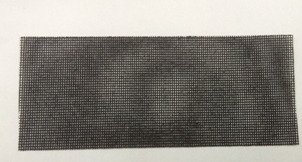 25mm (1" wide) x 6m(20' long). 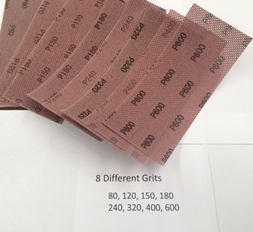 The 5 grits are 150, 240, 320, 400 and 600 grit.